How to get 1000 visitors a day — it is not impossible to achieve. Blogging is a trend nowadays, the reasons differ from one blogger to another. There are bloggers who blog because they love to share what they blog about, some blogs are set to promote their businesses or products, some to make money online with AdSense or affiliate marketings. (see my post about how to add adsense to wordpress). Me, i started my blog because i love wordpress and want to share what i know about it with people who may need it by my wordpress video tutorials. But that’s not all..
Once i could earn some money from this blog, my goal is blogging to earn money too. Probably you are also not different than me, first blog for pleasure, and then for money too, but how can you earn money from your blog if none visits it? How can someone clicks on your google AdSense if your blog does not have traffic? Make money online is possible but not without traffic. 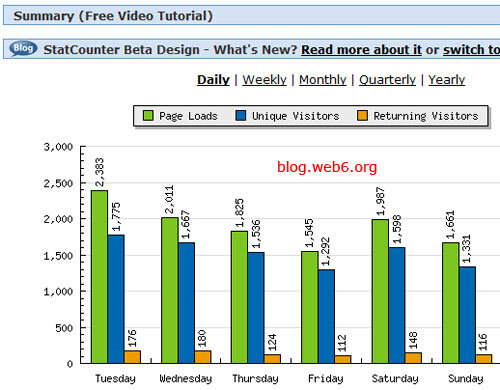 This is why i want to write about how to get 1000 visitors a day to your blog or your website. No traffic = No clicks = No extra money. That’s the simple analog, and also makes sense too, don’t you think? How to get 1000 visitors a day — my tips. Everyone has their own methods how to get 1000 visitors a day and these are mine so far. I did all of these because it helps me on how to get 1000 visitors a day. 1. Create regular posts. At least twice a day. First important factor on how to get 1000 visitors a day. This is because the more contents you have, the more posts are indexed on Google or other search engines, and this will increase the possibility on how to get 1000 visitors a day to your blog. To increase indexed pages or posts, increasing your keyword density is a good idea, i personally use and recommend this SEO plugin that can check it easily for you. Clean coded and SEO optimise theme is also important factor, to help Google bot indexed your content and keywords, remember Google bot is like a robot, if our theme does not help it, it your valuable post keywords would not be indexed.. If you check that post, you see, that the post is really helpful, i notice people ask how to do it in forums too, but because its not optimised people cant find the post.. I wish i knew how to get 1000 visitors a day back then..but never be so bad to be late. 2. Do this tips to increase organic traffics for your blog. 3. Active in at least one high traffic forum, and do dofollow blogs commenting, this also helps on how to get 1000 visitors a day. Those tips works for me on how to get 1000 visitors a day for free. Proof of my stats on how to get 1000 visitors a day. How to get 1000 visitors a day — Things to avoid. 1. Avoid paying for traffic. In my previous post, which is how to increase organic traffic post, i stated some reasons why free traffic is much more valuable. Unless you have a sales page or something, then it does not make sense to pay traffics. 2. Avoid building links too much. When you build backlinks, build it nicely, don’t overdo it, otherwise, your blog will be banned, because of spams. Believe me, Google know everything..Do everything legally, and you will see the result of how to get 1000 visitors a day. and wishing you continued success!! Impressive stats. It just goes to show that SEO is not a waste of time, it just takes time. Optimizing is something we all should consider. I hear bloggers say all the time “I write for my readers not the search engines” and so you should, you can still optimize for the search engines though. You’re absolutely right, if your reader find the keyword density too high, the post will be more non-sense to read lol. I am the typical blogger who gives search engines priority, other bloggers gives their readers’s priority. I’m really interested how to get more traffic to my blog and your post is helpful for me. Thanks for great tips to help my new canada drugs blog! Thanks for sharing these tips with us. I like the seo plug in because it does the work for you. I’m a newbie here and I am learning as I go along. I had changed my permalink structure from default to /% Postname%/ yesterday. Awesome! Yes, changing permalink to our new blog is very crucial step for Search Engines Optimizations. Thanks for this info, it is helpful. Will move to wordpress soon and apply that SEO stuffs. I agree with the others, I really liked the post and I learned some new stuff. I have though two questions that surprised me a bit. 1. Theme selection really surprised me, because I knew it is important but I did not think it is THAT important. I have not found anywhere on the internet a list, where the themes are ranked for SEO. This is important because I have no idea how good my theme is. I use Magazine Basic 2.6.8. Do you have an idea about this theme? The other thing is with theme that it already has updates but we have changed some parts of the code so we actually cannot update it because we would lose all our changes. Can you comment on that? What do you do? 2. I have read everywhere that quality is above quantity. Therefore I really try to write a good content and I also have a job so I can only publish 1 article/week now. I have seen that your suggestion was 2 articles/day. But are all of these articles from you very high quality? Because then it is very time consuming if you also have a job. Or you just go more for quantity with SEO optimized article to drive more traffic? I thought maybe you meant to say that 2 articles/day is only important in the beginning and when someone already has a large content on the page then so regular post are not so important. This post is written based on my own experience, I don’t talk representing others or SEO experts. I switch my theme three times, and I found this current theme is just best one. 1. In my opinion, theme matters. Especially the coding, like unclickable title h1 h2 in the single post, the HTML strict DTD, W3C validated, it all matters to me, personally. But again, everyone has their other opinions. The more clean the theme, specific unclickable links in some parts, and the HTML strict means also more accessable (loading fast both for visitors and Search Engines bots) really matter to me. Also quality contents do not mean it will rank high in Search Engine. My older posts, example, resetting wordpress admin password is a quality post, but it ranks very low in Google. One thing that is common in blogging world, but new for starter, is outsourcing, so basically you pay for writers to post in your blog regularly, especially if you have a job. The matter of posts frequency, is not about how much, but about regularly. If you have more time like me, post twice a day, the traffic will increase a lot. Thanks for coming accross and commenting, Tamas! Thanks very much Kimi, great answer. Keep up the great work, I will check the content regularly. Thanks for these valuable steps. hi, I don’t understand these lines…. what is indexed pages??? and key word Density??? please explain.. it would be better if u mail me te answer for this//. In my opinion, indexed pages are the pages in your blog that are indexed or listed in Google. You will find your pages which are indexed and listed. Keyword density is how many times you repeat your keywords in your article or post. This is a quick link how to increase keyword density. Thanks for your explanation. I got it right and i understood. Thanks a lot. Please do visit my Blog atleast once a month. hi, my website is a web development site, BUT i have also created a Free directory submission script on another folder, which is very much active. My Question is, will google ban my website if he knows its designs + back-linking website ? get 1000 visit per day is not to tough if well index by google if not then 100 visit is too tough. Many thanks for this great advice, and for the links to the other helpful articles as well!